Now, you may think that little actions like not turning on the aircon and fan at the same time make a lot of difference in the grand scheme of things, but accumulating all the carbon gas emissions saved from these little events actually do make a significant improvement towards the environment! Some examples include using sunlight as a natural source of luminance instead of artificial lights, and using half and full flushes as and when appropriate. We’ve all been guilty of leaving our devices charging for longer than needed, especially through the night. But did you know that this unnecessarily releases thousands of carbon dioxide particles into the atmosphere? It’s time for a change! Make a conscious effort to switch charging devices off (and any other electrical outlets) before you head to bed. This way, you’ll save both the Earth and on your electricity bills. Transportation is a huge source of greenhouse gas emissions, so taking the public transport or even carpooling can help reduce the amount of carbon emissions released. But the best course of action would be to eliminate the need for a car. 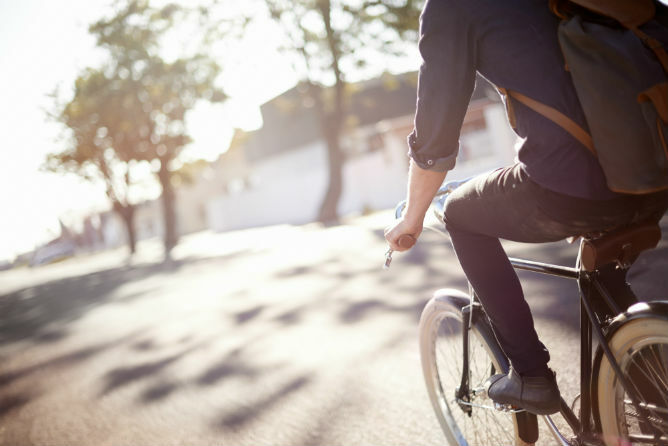 Whenever possible, try to walk or ride a bike to your destination – not only will you get a kickass workout out of it, you’ll also be doing your part as an eco warrior! Help save the environment while shopping by avoiding buying products that uses too much unnecessary packaging. A good tip is to look around at different shops selling similar products and then finally deciding on the one that has the least amount of packaging on it. And also avoid using plastic bags where possible – plastics are non-biodegradable so minimising your usage will decrease the amount of carbon dioxide produced. From the lights to the washing machine, change the appliances in your home to energy saving ones. Replace those energy-guzzling halogen lights for their LED equivalents. When it comes to the bigger items, pay close attention to the energy label on them and choose one that best suits your family’s lifestyle. The products that we use daily require energy, produced by burning fossil fuels, for its manufacture and disposal. By recycling these goods so that they can be reused to make a new product, we are reducing the energy needed to make them from scratch. 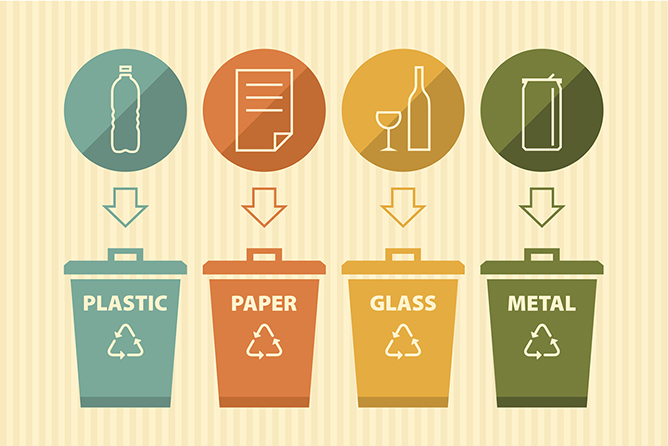 Be it paper, plastic or metals, make it a point to pop them into their respective recycle bins instead of throwing it into the generic trash cans. Consider this: the carbon footprint from food waste is bigger than all countries except for China and the United States – that’s a whopping 194 countries total! Between farmers to consumers, more than 30% of all the food produced yearly is wasted, which rots and creates a ton of greenhouse gasses. The next time you’re out at a restaurant with your friends or family, make a conscious effort to only order food that you’re certain you’ll be able to finish. And the next time you head to a grocery store, make a mental note to only buy and cook what is necessary. While it may not be possible o go entirely paper-less for now, the slow but steady integration of digital platforms into our daily lives does help to reduce the amount of paper used. Do your part by sharing notes with classmates or using digital note-taking – if you really have to, then print on both sides of the paper, reuse scrap paper and only print when absolutely necessary. With everyone’s help, we will be able to make the world a better place for future generations to come. Do you practice any other methods that help save our environment? Share them with us in the comment section below!